makes me want to call and catch up on Monday! This is appropriate in a cryptically coincidental way! I have been considering reaching out to some fellow WordPressers about an idea but I haven’t gotten around to it yet. Thank you. 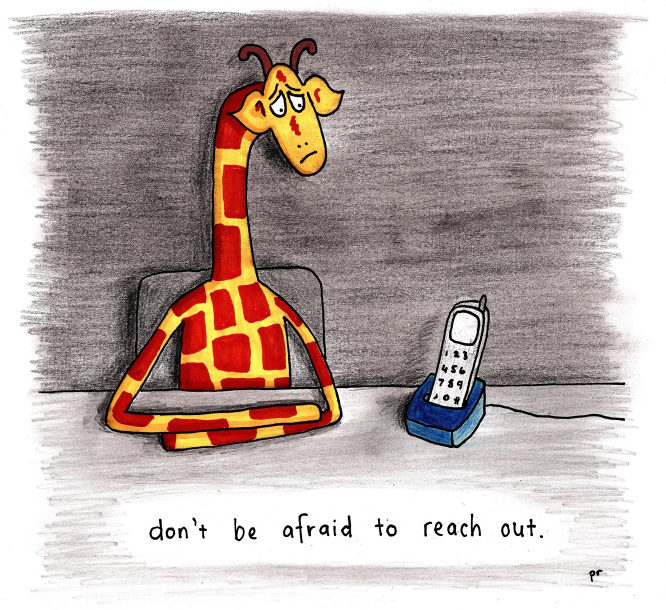 I’m wrestling with the pitch right now… but at some point I need to take the advice of your giraffe and just reach out anyway. Word Press seems to be all about reaching out. Nice message. I am loving your blog. You are amazing!! !